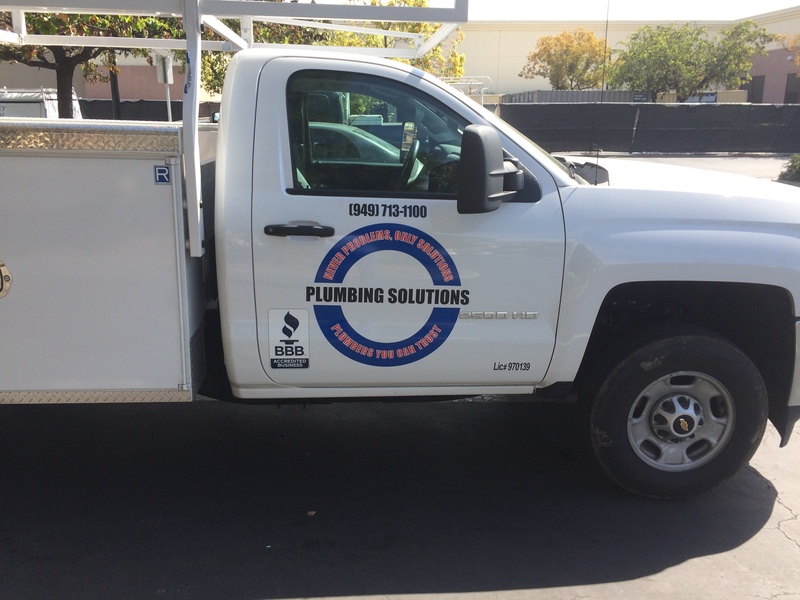 Pictured Above: We recently printed a fleet vehicle wrap for Plumbing Solutions. Fleet vehicle wraps are an excellent way for any company to advertise for a fraction of the cost of other typical advertising mediums. Car rental companies, taxi cabs, public utility services, public transportation, etc. can all greatly benefit from having their fleet of vehicles wrapped. Companies like these should make the absolute most of their advertising budget by transforming a set of several basic vehicles into a fleet of branded, mobile billboards. Whether you need a complete vehicle wrap, a partial wrap, or just some decals, we can customize your fleet of vehicles regardless of their size. Think about the last time you saw a logo of a company that you had never heard of previously? Did you go Google it that day? Probably not. But, let’s say you saw that same logo seven to ten more times in the next couple of months. We are willing to venture that at some point during those months you searched for that company. Methods of marketing and advertising cater to the theory that it takes time for customers to be remember a new brand and care about that company’s product. Vehicle wraps lead to countless impressions on potential future customers because they are a moving billboard. Now, fleet vehicles increase that visibility tenfold because there are so many more vehicles. That increased exposure could be the difference between a potential customer searching for your company and realizing they want your product or them simply forgetting your brand completely. Not only are fleet vehicle wraps great advertising, but a fleet of vehicles present an organized brand image. It is no secret that consumers search for a brand that they can trust. Consumers love to see repetition in brand image. The more exposure your company’s logo/brand can attain, the more people are likely to trust your company’s product.